With no annual fee, a free credit tracking tool, Platinum Mastercard® benefits and Apple Pay capabilities, the Capital One® Secured Mastercard® goes beyond the basics secured cards typically offer. Plus, its low minimum security deposit requirement make it an even more attractive option for individuals looking to build or rebuild their credit history with responsible use. Receive an initial credit line of $200 after making a security deposit of $49, $99 or $200, which will be based on your creditworthiness. The Capital One® Secured Mastercard® has all the basics someone needs to build or rebuild their credit (with responsible use), with the addition of a few perks you don’t normally get with secured credit cards. Pay a refundable security deposit of $49, $99 or $200 based on your credit history and receive an initial credit line of $200. You can pay more than your required security deposit before your account opens to increase your initial credit line up to a maximum of $1,000. Financial education and responsible use are important when you’re building or rebuilding your credit. Capital One® makes sure cardmembers have access to this information through its Financial Education site. The site features content about budgeting, balancing a checkbook and investing as well as additional resources that connect cardmembers to financial literacy programs (some of which are free). And if you want more tips about how to use credit wisely, follow Capital One®’s Twitter handle, @YourFutureEdge, to get more financial education. The Capital One® Secured Mastercard®, which reports to all three major credit bureaus, also helps cardmembers learn how to improve and build their credit through responsible use through CreditWise®. The tool, available to people even beyond Capital One cardholders, gives you unlimited access to your credit score and free financial tools to help you better manage your credit. One unique feature of the tracker is a Credit Simulator, which shows you how specific actions can affect your credit score. With these tools, Capital One® is doing more than providing a platform for people to rebuild their credit, it's doing the proverbial "teaching a man (or woman) to fish." The Capital One® Secured Mastercard® also has Platinum Mastercard benefits like rental car insurance, 24/7 roadside assistance, price protection that reimburses you the price difference if you pay more for an eligible item, and automatic travel accident insurance when you use your card to purchase a trip. But one of our favorite features of the Capital One® Secured Mastercard®, is the option to select your own due date, making bill management just a little bit easier. The Capital One® Secured Mastercard® doesn’t have a points program, so you won’t get any rewards. But since this card is more about utility than perks, use it wisely to build your credit and then graduate to a rewards card when your credit history allows. The card also has a higher APR than many of its competitors. If you’re concerned about interest charges, a secured card with a lower APR may work just as well for rebuilding your credit (with responsible use, of course). Capital One® Secured Mastercard® vs. First Progress Platinum Select Mastercard®. Both cards report to all three major credit bureaus, but Capital One® determines your security deposit based on your creditworthiness, while First Progress® doesn’t require a credit history or minimum credit score for approval. Both cards require a refundable security deposit, but First Progress® matches your credit limit to your deposit amount (from $300- $2,000). Though it has a lower APR than the Capital One® Secured Mastercard®, it also has an annual fee – $39. The First Progress Platinum Select Mastercard® isn’t chip-enabled, so if you’re traveling abroad, you’ll want to carry another card in your wallet. Because of the additional perks and no annual fee, the Capital One® Secured Mastercard® is the better pick. Capital One® Secured Mastercard® vs. Citi® Secured Mastercard®. Neither the Capital One® Secured Mastercard® nor the Citi® Secured Mastercard® has an annual fee (Citi is a CardRatings advertiser). Like Capital One®, Citi® asks applicants to make a refundable security deposit that will be equal to their credit limit. 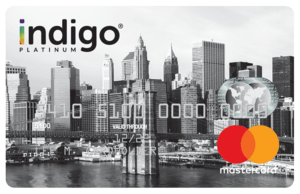 In the case of the Citi® Secured Mastercard®, that minimum security deposit is relatively high at $200; however, Citi also offers the possibility of a higher credit limit – up to $5,000. The card has perks similar to the Capital One® Secured Mastercard®, including roadside assistance, rental car insurance and travel accident insurance. If you’d like the same card benefits as the Capital One® Secured Mastercard® but want a higher credit limit, choose the Citi® Secured Mastercard®. Capital One® Secured Mastercard® vs. OpenSky Secured Visa. The OpenSky® Secured Visa® Credit Card is another secured card option that comes with an annual fee, in this case $35. Pay your security deposit and enjoy a credit limit of $200-$3,000 with the opportunity to raise that limit to $5,000 within the first year with responsible use and payment. Once again, you're dealing with an annual fee, but if you foresee wanting a higher credit limit soon, this could be a better option for you. You can also open an OpenSky Secured Visa without a credit check or even a checking account, so this could be a great option for individuals starting from the ground up with their credit history. Anyone who currently uses a prepaid debit card or unsecured credit card because of a credit history in need of rebuilding. The Capital One® Secured Mastercard® is also a reasonable option for college students and first-timers who need to establish credit, especially since it doesn't require an annual fee to carry. A security deposit as low as $49 can be used to establish your line of credit. The option to choose your own due date makes managing your monthly budget and bill paying just a bit easier. There's no annual fee with this card. The credit limit on this card caps out at $1,000, so if you anticipate wanting a higher credit limit (credit-worthiness depending, of course), you may want a different card.